Do you know someone whose pet has recently died? If you've ever experienced such a loss, you know that the pain is very real and painful. While nothing can take away the sadness, there are some comforting things people can say or do. Animals bring so much joy to our lives, and their passing leaves a huge void. Although most people who have pets know that they will eventually have to deal with a loss, it's still an extremely sad time. After all, these animals become a part of the family, and once they’re gone, we miss them terribly. 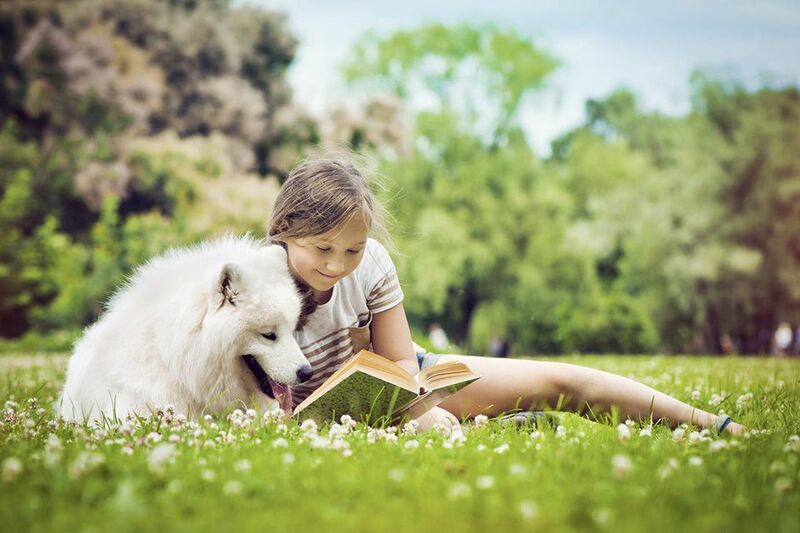 After the pet has passed away, the family’s routines will change, and little things can trigger the sadness that may be extremely overwhelming. The family will miss the morning snuggles from their furry family member They will no longer be greeted by a wagging tail, a soft purr, or a cheerful tweet when they return home at the end of each day. Remember that there are stages of grief, even with pets, and the impact of the loss might not happen right away. Many people start out in shock or denial, and they break down days or even weeks later. When you know someone who has just lost a pet, offer your sympathy and support. Even if it makes you uncomfortable, give them a call and listen. If you sense that kinds words from you are welcome, share your own positive memories of the animal. You don't have to say much, as long as the words are sensitive and show that you care. Do something nice for your friend to show your support. Sometimes people have a difficult time removing the pet’s bedding, toys, and food bowls. If you can handle doing it for them without falling apart, offer to help. Perhaps they want to do it but would appreciate your presence and the comfort of a few kind words. Ask what they want you to do, follow their lead, and do what is needed. A well thought out sympathy note is always welcome. Take time to write comforting words that let the person know you're thinking of them. Start out by acknowledging the loss and offer your sympathy. If you knew the animal, add one of your own memories. Offer to listen when your friend is ready to talk. I’m so sorry to hear about the loss of Puff. She was such a beautiful and sweet cat, and I know she meant a lot to you. I enjoyed watching her play with her stuffed mouse when I came to visit. Please don’t hesitate to call me if you feel like reminiscing or need to talk. I just found out about your loss. Jack was such an amazing dog, and I know how much you’ll miss him. He’ll always hold a special place in your heart. Let me know if you need anything. I was very sad when I found out about your loss. I know how much you’ll miss such a sweet and lovable dog. Take care and call if you need to talk. The sadness of losing the pet will be there, regardless of what you say or do. However, there are some things you can do that might help the grieving process. Make a donation to a pet-oriented charity. Offer to host a memorial service for the pet. Have a tree or shrub planted in your friend’s yard in honor of the pet. Stop and think before you say anything to someone who has lost a beloved family pet. It can be very difficult to find the right words that will provide comfort. Sometimes the best intentions can backfire and hurt more than help. "Don’t cry." Crying is part of the grieving process for many people. "Get over it." Avoid saying anything this harsh because it hurts more than it helps. Telling someone to get over such a loss is mean and thoughtless. "You’ll feel better soon." While this may be true, at the moment, the person is deeply in grief and feels terrible. Instead, you should acknowledge the grief and offer sympathy. "He’s better off now." Regardless of how much the pet suffered, your friend is hurting. This is not a comforting comment and might even make the person feel worse. "You’ll feel better if you get another pet." There is no way another pet can replace the one that just passed away. The person will get another pet when he or she is ready, but that may not be for a while.